The latest volatility in global financial markets represents "necessary corrections", IMF chief Christine Lagarde said in Dubai on Sunday, in the wake of a Wall Street plunge. "The market trepidations that we have seen in the last few days are not worrying me. "Those market movements were clearly, in our view, necessary market corrections," she told an audience at Dubai's World Government Forum. Wall Street stocks ended a bruising week on a benign note, courtesy of a late-session surge on Friday, while equity markets in Europe and Asia fell sharply in volatile trading. "I would not focus on what has happened in the last few days. 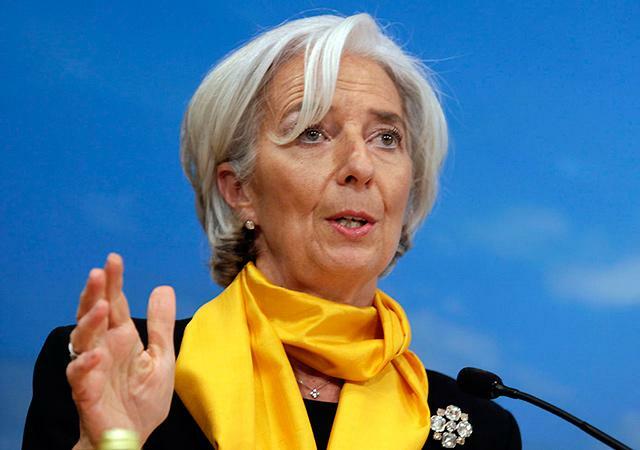 I would focus on the imperatives of change going forward and the need to fix the roof," Lagarde said. On Saturday, she had urged Arab countries to slash public wages and subsidies in order to rein in spending, achieve sustainable growth and create jobs. Speaking at the one-day Arab Fiscal Forum in Dubai, Lagarde welcomed "promising" reforms adopted by some Arab states, but insisted much more was needed to overcome daunting economic and social problems. Low oil prices are weighing on the finances of Arab oil exporters, while importers are battling with rising debt, unemployment, conflicts, terrorism and refugee inflows, the IMF's managing director said.